The INVISIBLE OPERA COMPANY OF TIBET is actually the idea of GONG's Daevid Allen. His goal was to have like-minded bands playing under that banner from different places of the world. Of course by like-minded we're talking about the love of playing Psychedelic music that is positive and uplifting.There is one band in the UK, one in Australia and of course this one from Brazil.This particular projected was put together by the guitarist for VIOLETA DE OUTONO (Fabio Golfetti) who contacted Daevid Allen about participating and has since played with Daevid in concert in Brazil under the GONG GLOBAL FAMILY name, and the DVD for that is listed here. I have to mention that Fabio contacted me some months ago thanking me for my review on his band's "Volume 7" album. In all honesty that album by VIOLETA DE OUTONO is one of my all time favourites and I can't even describe why it touches me so deeply but it does. So to get this message left me both numb and elated at the same time.To have one of my heroes message me (we exchanged several messages) is difficult to put into words. He sent me this particular cd along with that DVD I was talking about earlier from the GLOBAL GONG FAMILY.Talk about a humbling yet uplifting experience.The music on this album is gorgeous by the way. Fabio like Daevid plays this Glissado guitar which brings an otherworldly aspect to this music. "First Contact" is the over 27 minute opener.The guitar to open is so beautiful that i can't help but be moved. Bass and drums join in then we get a second guitar that starts to solo so tastefully over top. It turns more aggressive a minute later. Check out the bass and drums 4 1/2 minutes in ! It settles before 10 1/2 minutes then kicks back in after 12 minutes. Hell yeah ! Killer drum work then the guitar is crying out in a powerful way. Drums and bass only after 16 minutes.The guitar is back and Fabio is lighting it up 19 minutes in.My God ! It then settles back as they jam. "Sal Paradise" has this pleasant and drifting sound to start. Marching styled drums come in around 2 minutes which signal a change. Bass and drums take over then the gutar joins in. Nice. Vocals come in around 3 1/2 minutes and they remind me of early FLOYD. So good ! Some whistling 5 1/2 minutes in then the vocals return a minute later.This is such a feel good track just like the opener. "Stars" has this beat with the guitar playing over top. It reminds me of early PORCUPINE TREE. "Spirits" has this relaxed trippy sound and I love the tone of the guitar.The drums do get aggressive.The guitar late reminds me of FLOYD. "Landing In Shambala" opens with drums as the bass comes in along with spacey sounds.The spacey sounds end up taking over and they echo 3 1/2 minutes in.The drums and bass then return to the fore but it's still spacey. "Moon In June" is of course a SOFT MACHINE cover and it was done live in Brazil September 8th 2007. Man the guy singing sounds like Wyatt too. Just a fantastic cover. Love the guitar after 9 1/2 minutes and check out the bass before 11 minutes as the drums and guitar continue.Vocal melodies follow. Freaking perfect ! This is an absolute joy, that's the only way I can describe the experience of listening to this album. Invisible Opera Company Of Tibet is a project started by Gong's Daevid Allen. It is in fact a big multinational project where they aim to unite musicians all over the world. 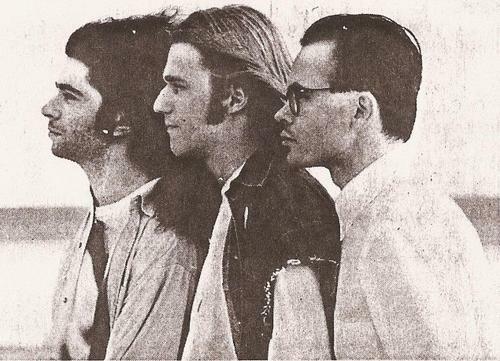 The Brazilian version of the band is headed by Violeta De Outono's leader Fabio Golfetti. UFO Planante (2010) is their fourth album (3rd studio) and follows up Glissando Spirit (1993). I was waiting for the next Violeta De Outono album back in 2010 so this album came to me as a surprise and initially a disappointment. But boy, oh boy, how I was wrong. UFO Planante (2010) takes the same lineup from Violeta De Outono: Fabio Golfetti (vocals and guitars), Gabriel Costa (bass) and Fred Barley (drums) and goes in a trip, a WONDERFUL trip. 'First Contact' starts the album with more than 27 minutes long. In this record the instrumental and the structured improvised themes are the most important thing, that's what makes them different from Violeta De Outono. 'Sal Paradise' is still quite lengthy with its 9 minutes but with vocals. 'Stars' and 'Spirits' are a bit smaller in length (bit more than 3 minutes each) and they bet in ballads and melodic musical landscapes. 'Landing In Shambhala' has over 11 minutes and it's more unexpected. Big emphasis to the last guitar solo. As a bonus the album has a live version of 'Moon In June' (Soft Machine). Universal trips, focus, concentration and tranquility are some of the sensations listening to UFO Planante (2010). One of the best albums released in 2010 and unfortunately, forgotten. Highly recommended! 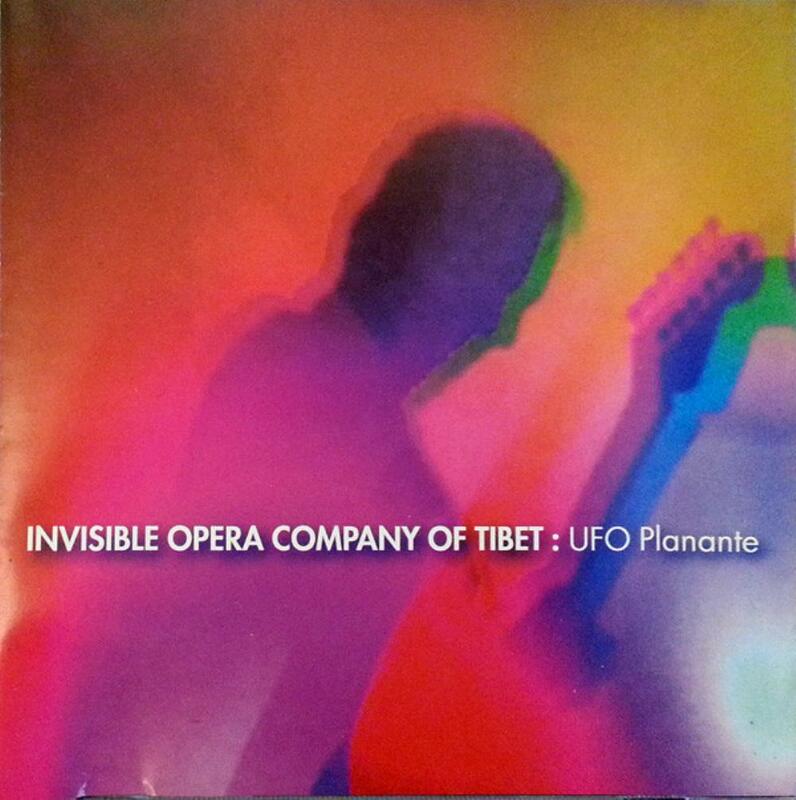 Post a review of INVISIBLE OPERA COMPANY OF TIBET (BRAZIL) "UFO Planante"